Take it easy for you life with Muangthai Leasing. Consult for free. Easy, fast and save. Request an online offer with rabbit finance. Receive a car loan without salary proof. We have the best offer for BMW, Izuzu, Toyota and other brands. The online service of rabbit finance will allow you to receive the necessary information within a few minutes. Muangthai Leasing is Thailand's leader for motorcycle loans with more than 25 years of experience. It takes only 20 minutes to apply for a motorcycle loan in one of Muangthai Leasing's 2,100 branches. Click the "Inquire now" button and fill in the form with the needed personal and car information. Our service team will call you within a few minutes. Our staff will ask you for information regarding the condition of your motorcycle and explain the next steps via phone. Subsequently, you will inform you about your loan ammount. If you provide correct information on all documents in one of Muangthai Leasing's branches, you will receive your loan immediately. Last month I was ill for two weeks and not able to work. Therefore I got a lot of short term financial problems with all my monthly expenses. The car loan of Muangthai Leasing saved us in this situation. Subsequently I needed only 2 weeks to rebuy my car. Thanks rabbit! I needed money for a surgery but I am absolute depend on my car. Therefore it was not possible for me to sell my car. A car loan was the perfect solution in this situation. Sometimes there are situations in life where it is necessary to get money as fast as possible. For example when you have medical expenses, you need money for your business or other financial problems. If you try to get a loan from the bank it is often the same problem. You need to fulfill a lot of conditions to get money. Especially for people who have no fixed job it is nearly impossible to receive money. Exactly for this situation the car loan of Muangthai Leasing exists. 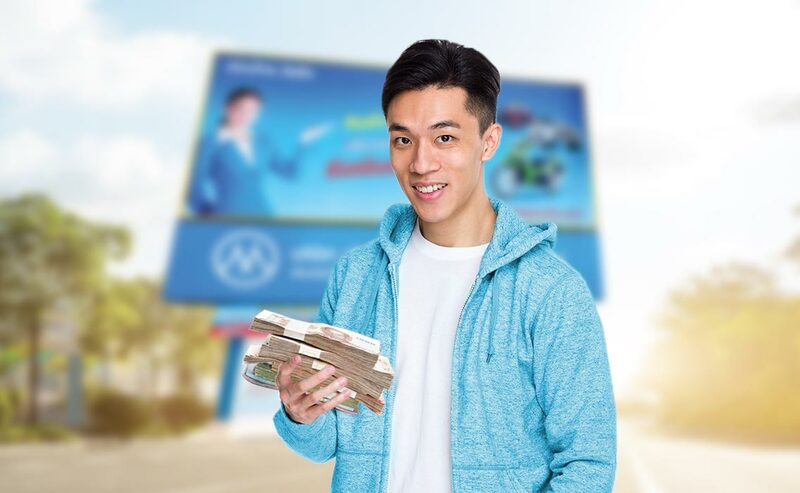 Even without a full time job you are able to get a car loan with Muangthai Leasing. Solve your financial problems with the car loan of Muangthai Leasing. Why does rabbit internet work together with Muangthai Leasing as their special partner for car loans? Unlike as with other companys in the business our customers can feel safe with Muangthai Leasing. The company was founded 1992 and has been growing continuously. Today the it is the leading motorcycle and car loan business in Thailand. With more than 5,000 emploees and total 2,046 branches. The Company continues to focus on expand our service channel to cover all regions in Thailand from provinces to districts, districts to sub-districts with a plan to expand to 2,200 branches by 2017. For us it is important to work together with a trusted and experienced company to decrease the risk for customer to lose money because of any risks. Why should you not sell your car in case of financial emergency? The answer is easy. Contrary to selling your car you are definitive able to get rebuy it with Muangthai Leasing. In the moment you make the contract with Muangthai Leasing you are able to decide in how many installments (up to 50) you want to repay the money. The best is that you only need to repay the same amount as you got with the loan. The only thing that Muangthai Leasing will charge is a small interest. It means when you are able to repay the money it is not necessary to waste time searching a new car that responds to requirements. Furthermore you are not addicted to the prices of any car sellers or car companys. With receiving the loan you determine the amount you have to pay if you want to rebuy your car. You can be sure that you will not lose more money than the small amount of interest. 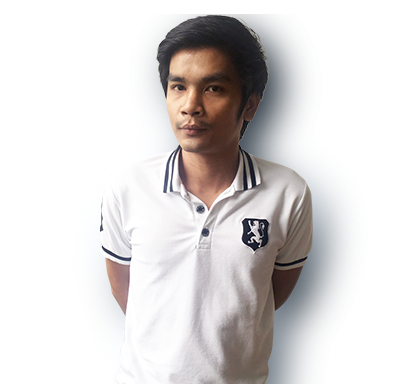 Muangthai Leasing is the smartest financial solution to get fast money. Easy cash dont need to be a dream. Furfill your wishes now. The service team of rabbit finance is able to give you the most exact car loan prediction. Especially if you own a car of Thailand’s best-selling car brands we can often give you very good conditions. The loan amount from Muangthai Leasing often is higher compared to less famous car models. In the following part we will give you an overview about Thailand’s most famous car brands and their best selling vehicle models. Isuzu is a Japanese commercial vehicle manufacturing company. Their by far most successful car model in Thailand is the Isuzu D-max. The car was introduced 2002. Since more than 10 years it has been one of the best selling cars on the Asian and especially on Thailand’s market. The Toyota Hilux is a series of light commercial vehicles produced and marketed by the Japanese manufacturer Toyota. The first model was introduced in 1968. It is currently the best selling car in Thailand. The Honda City is a compact car which has been produced by the Japanese manufacturer Honda since 1981. More than 33,000 cars were sold in 2016. The Toyota Yaris is a subcompact car produced by Toyota since 1999, replacing the Starlet. The sales reached 36,212 in 2016. The age of the car is important. The worth of a modern car decreases with its age. Furthermore, the cars's mileage is also a significant factor. The condition is one of the main factors for the loan amount. You will be asked to tell our service stuff via telefone informations about the conditions. If the experts from Muangthai Leasing decide that your information do not fit with the condition, the loan amount will be adjusted from the service stuff at the brand of Muangthai Leasing. The Brand and the model of the cars are also important for the amount. Different brands and models are not worth the same. Brands that are known for their good quality or models with a good value retention will give you a higher possible loan amount. There are a lot of different car brands on the market. Some brands are very cheap for what you get, others are pretty expensive for nearly the same specifications. But be good informed. Most of the people only think about the price amount when they buy a car. They do not include that the quality and durability of cars is different. These people will realize their mistake. After a few month or years they will have more broken parts and higher total repair costs. Furthermore the loss of value should be significant for a purchasing decision. A high loss of value means that you will also get a bad result with Muangthai car leasing when your car is not new. Familiarize yourself before you buy.